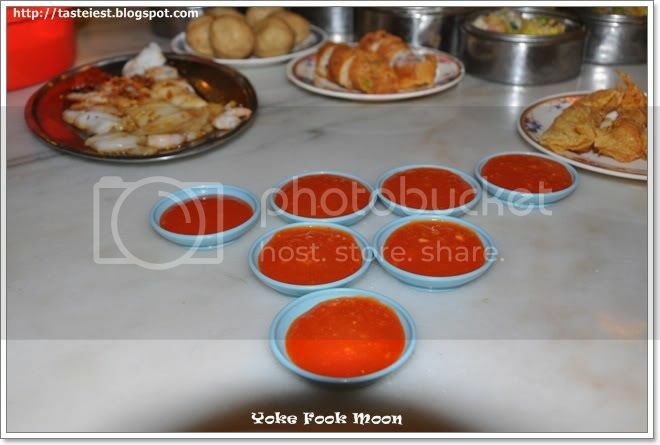 Start our Ipoh stomach building from one of the famous Dim Sum in Ipoh, Yoke Fook Moon. 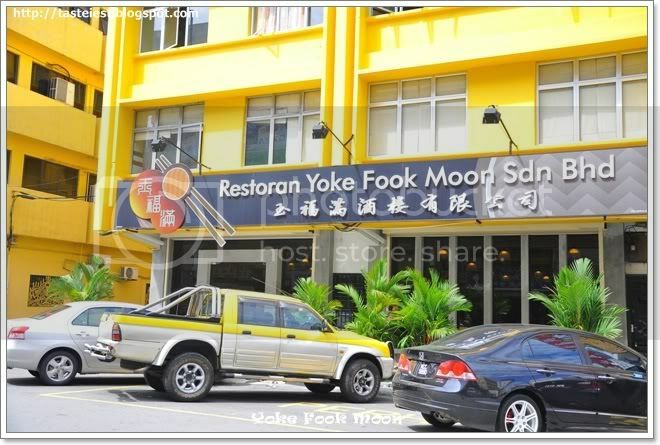 Yoke Fook Moon is a 2 storey building and operate for brunch and dinner. 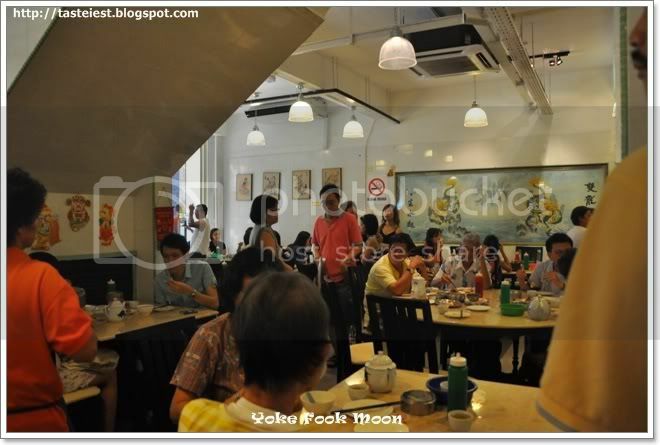 We reach around 10.30am and it was very crowded, we din’t realize there is 2nd floor and stupidly waiting for table around 20min untill one aunty told us to go upstair. 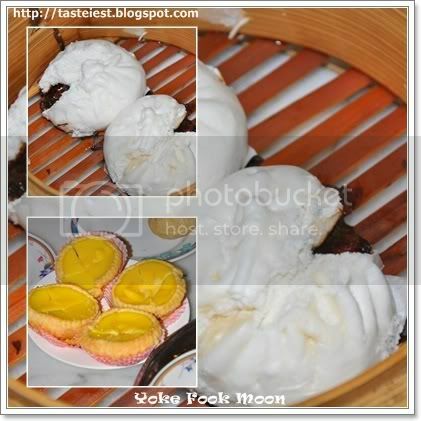 Chili Paste provided is different from other shop, normally Dim Sum Restaurant provided chili paste is sweet but Yoke Fook Moon Chili Paste is spicy and taste better. A good Dim Sum Restaurant must have delicious Char Siew Pao and Egg Tart, Yoke Fook Moon never dissapointed us with their Char Siew Pao and Egg Tart. Char Siew Pao dough is soft and fluffy, fill with Char siew fragrant. Egg Tart outer casing shortcrust pastry is crunchy fill with egg custard. 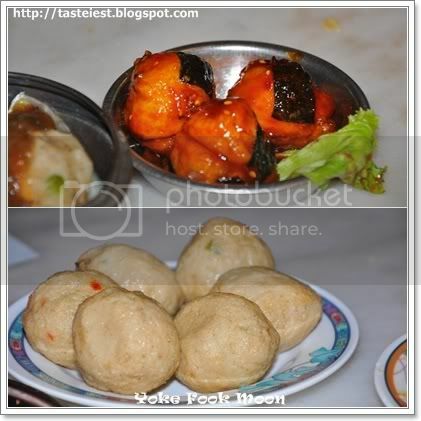 Muscle with Fish Ball (Left), Siew Mai (Top Right) and Har Kao (Bottom Right). Muscle with Fish Ball is something new which I never try in Penang before while Siew Mai and Har Kao is above average. Some crispy stuff, overall taste good. 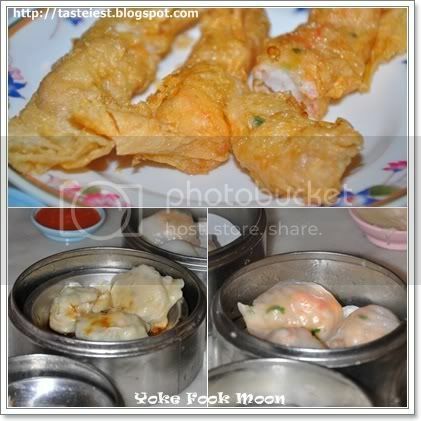 Siew Mai(Top Left), very thin skin and chop pork meat is soft and tasty. 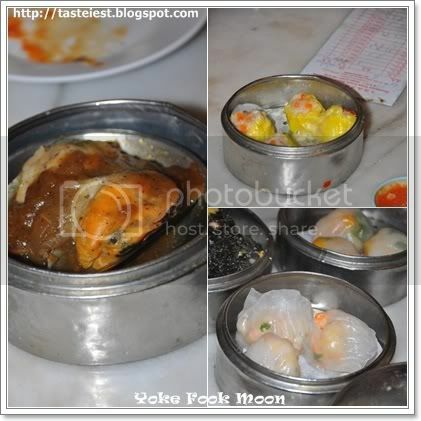 Steamed Fish Ball (Top Right) is normal while bottom two Prawn Dumpling is as normal dumpling with fresh prawn inside. 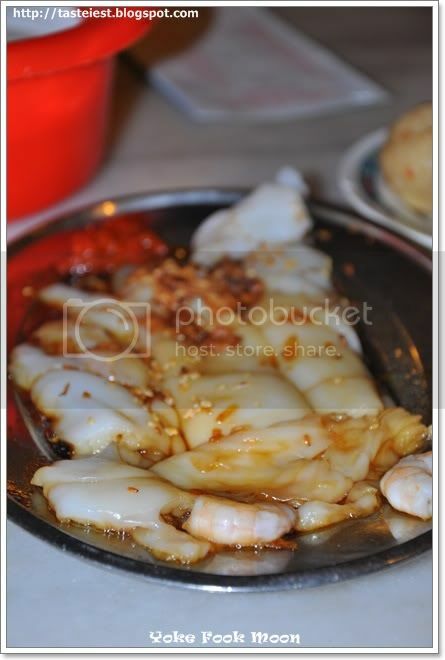 Chee Cheong Fun, one of the representative for Dim Sum. Chee Cheong Fun wrap in Char Siew and Prawn, topping with fried shallots and sesame, and sambai on the side. Chee Cheong Fun is smooth and prawn is very Q but the sambai given is not enough, anyhow you may ask for more if you like it. Fish Ball with Sweet Sauce(Top) and Normal Fish Ball (Bottom), both are almost the same type of fish ball just that the Top fish ball have some additional sweet sauce and seaweed, taste just normal. Fried Prawn Roll(Top), Pork Dumpling(Bottom Left) and Prawn Dumpling(Bottom Right). 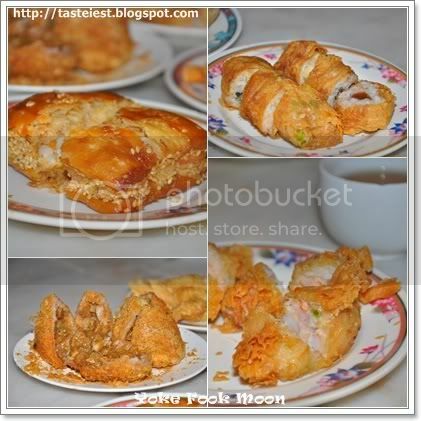 Fried Prawn Roll is crispy with a lot of fresh prawn deep fried to perfection. Pork Dumpling serve with vinegar which taste almost like Siew Long Pao just without the soup inside, while Prawn Dumpling is wrapped with thin tranparent steam rice skin. 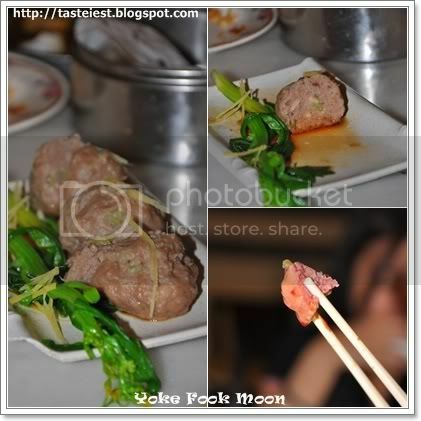 Beef Ball, special order as they prepare only when you order which make this Beef Ball fresh and hot while served. Ginger and Vinegar provided to further enrich beef ball tastiness. 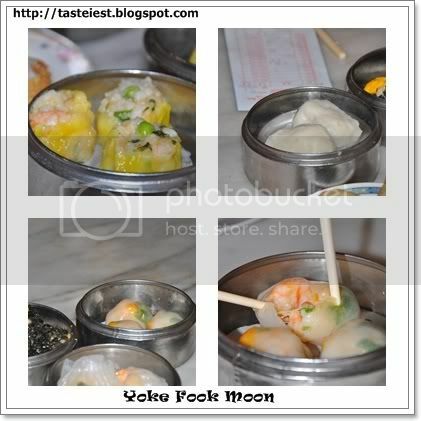 Overall, Yoke Fook Moon is the best Dim Sum we selected among “Dim Sum Street”. 67-69, Jalan Leong Sin Nam, 30300 Ipoh. This is my preferred Ipoh Dim Sum restaurant. Among the three, this is the best. Same for us, we prefer this shop the most. 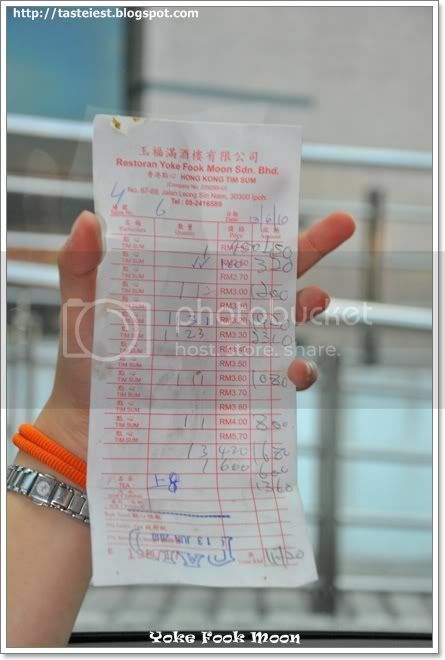 i thought u mentioned for brunch and u reach there at 10.30am, but why the business hour u stated only until 10am?